“The Lord is my strength and my defense; he has become my salvation.” (Exodus 15:2). When we are besieged on all sides, we don’t have to rely on own strength to get through it. The Lord is our strength when we are weak. He brings renewed and refreshing vision to our minds so that we are strengthened to press on. We have the responsibility to call on Him for help. Because of the Holy Spirit, believers can have complete peace in the middle of a crisis even though it doesn’t make sense to our natural minds. The Lord gives us this peace so that we don’t have to fret through life always worrying about what is next. His peace gives us the confidence of having our prayers heard and answered according to His will. “My Spirit, who is on you, will not depart from you” (Isaiah 59:21). We can be alone, but never lonely in the presence of God. Satan does everything in his power to convince us that we have been utterly deserted by God. Yet the devil is the father of all lies and we must take hold of the truth that nothing comes to us unless God allows it. He assures us through the Holy Spirit that we are never alone. “One thing God has spoken, two things I have heard: “Power belongs to you, God” (Psalm 62:11). There are earthly powers that influence nations around the world and there are mega wealthy people who influence economies. However their power is nothing compared to the all-powerful God we serve. Our minds can take ease and rest when we fully accept that all might and power is in the hands of our heavenly Father. We can’t even comprehend the incredible love that God has for each one of us. It was because of His love that Jesus came to the world, died on a cross, and rose again. We must never mistake the love of God to be like the love of people—which is fickle and often conditional. God’s love prevails through every life situation. It can be difficult to believe that there is a calculated plan for our lives when everything is in chaos. Yet the Lord knows our beginning and end—and He has planned it to the minute detail in order that we may live what He has destined for us. The amazing grace of God is the buffer of our lives that allows us to fulfill our destiny in Christ. “‘Come now, let us settle the matter,’ says the Lord. ‘Though your sins are like scarlet, they shall be as white as snow; though they are red as crimson, they shall be like wool’” (Isaiah 1:18). Many times our minds are uneasy because we don’t feel forgiven even though we’ve asked for it over and over. Yet the Lord knows those who are contrite in spirit and repentant. We must settle in our hearts and minds that we are forgiven even if we don’t feel it. Our faith in God must embrace His willingness to completely and forever forgive us of our sins. The Lord hasn’t called us to be jittery and unstable in our minds. He wants us to grow up to trust and love Him as Lord of our lives. This doesn’t always happen overnight—rather it may take a while to grow into becoming a quiet and confident believer. Keep reading the scriptures until they become a regular part of your thought life to the point that there’s no room for fears or doubts. 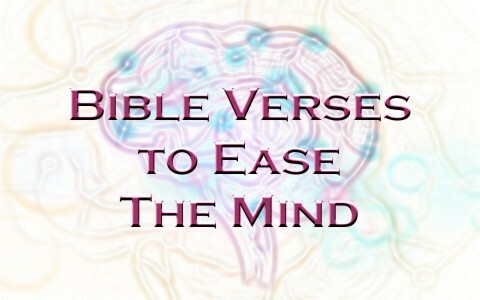 Something else for your to read to ease your mind: How Do I Meditate on the Word of God? Thank you for this, I am having a very difficult time in my life right now… I ask God to give me confort and forgiveness and that my spirit and my mind understands why all of this that I cannot understand yet, is happening to me. Previous post: What Is The Importance of Biblical Doctrine? Next post: Is There Ever A Reason For Christians To Tell a Lie?